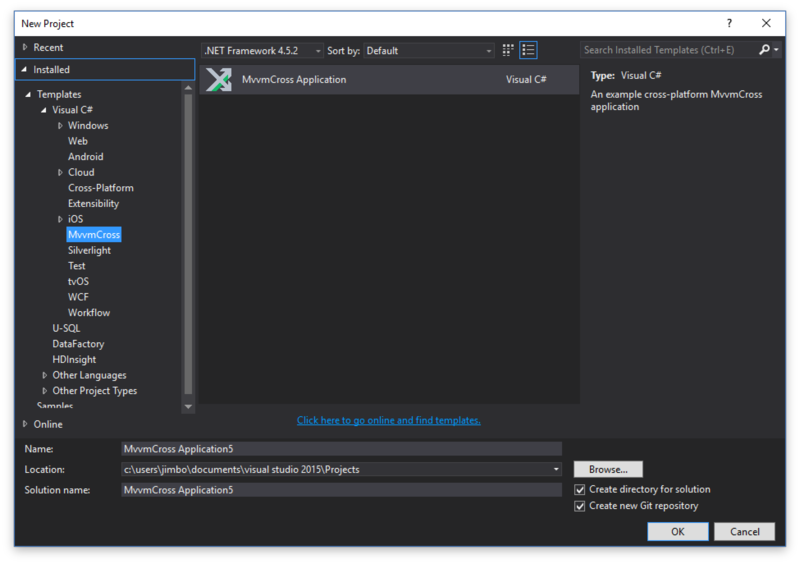 A Visual Studio add-in to create an MvvmCross cross-platform solution covering all compatible project types, from desktop to mobile. 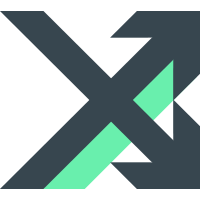 Solution template for a basic MvvmCross cross-platform application targtetting iOS, Android, UWP and WPF. This is the same as is created by installing the MvvmCross Starter Pack nuget and following the instructions that come with it. When you instal this extension you will see a new project type appear under Visual C# called MvvmCross. From there you can access the new solution type. The solution that is created wil contain a core PCL project with an example view model, and a number of platform specific projects, one for each platform that have a view that uses the cross platform view model. These project should build and run on each platform without any changes (except on iOS where you may need to configure the provisioning profiles to run on a device). Note: You will need Android SDK 7.1 (API 25) for this to work correctly for Android as the version of the Xamarin Android packages used require this SDK version.